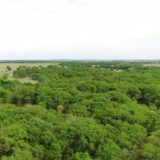 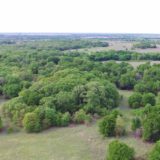 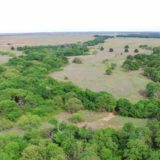 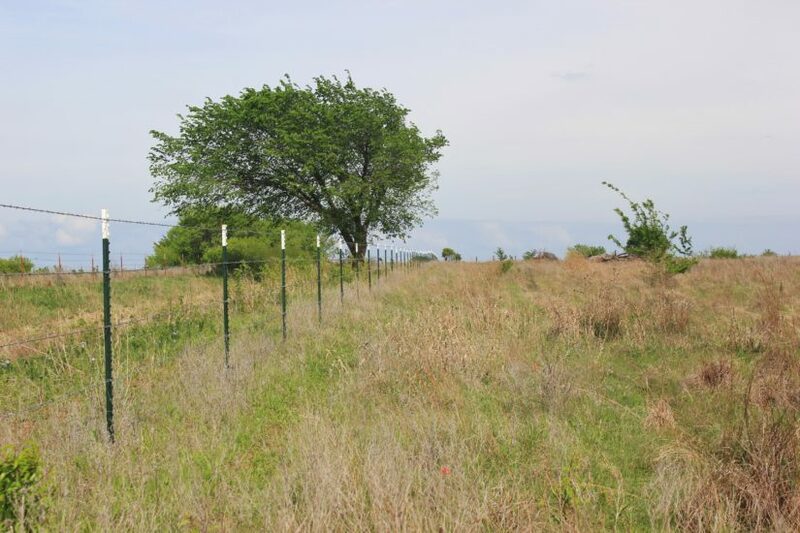 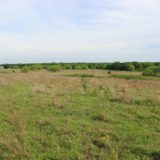 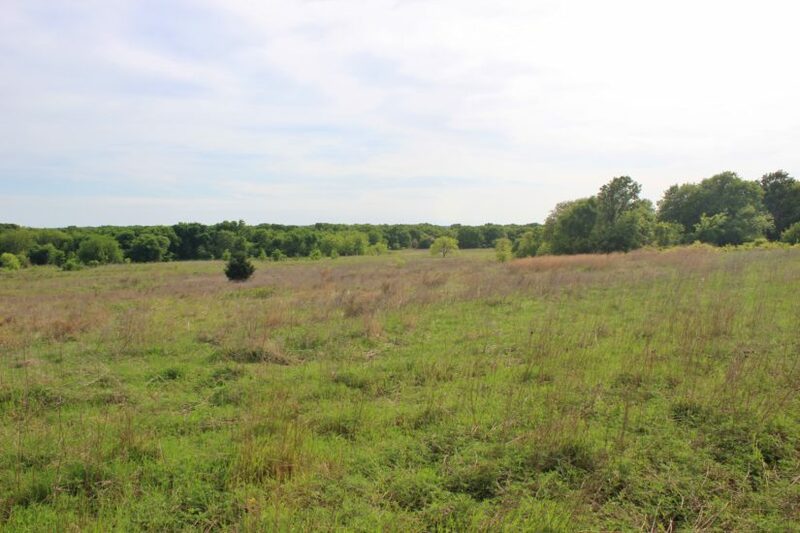 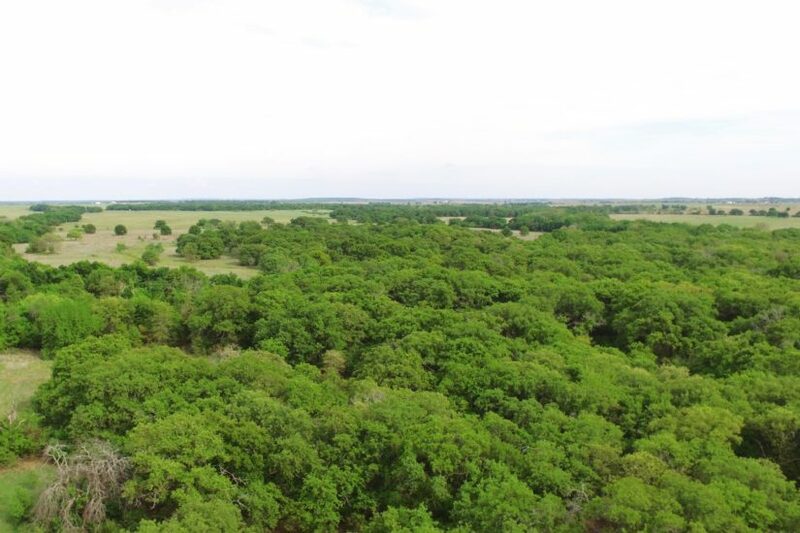 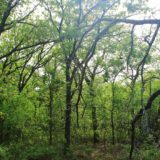 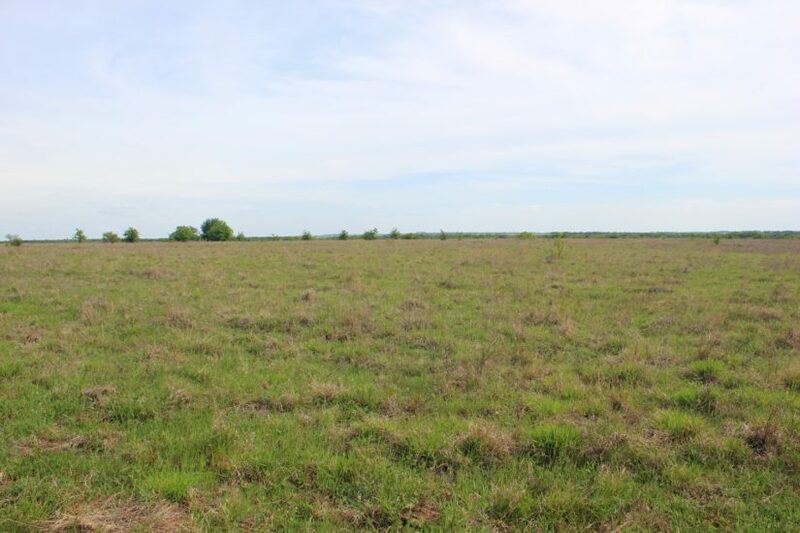 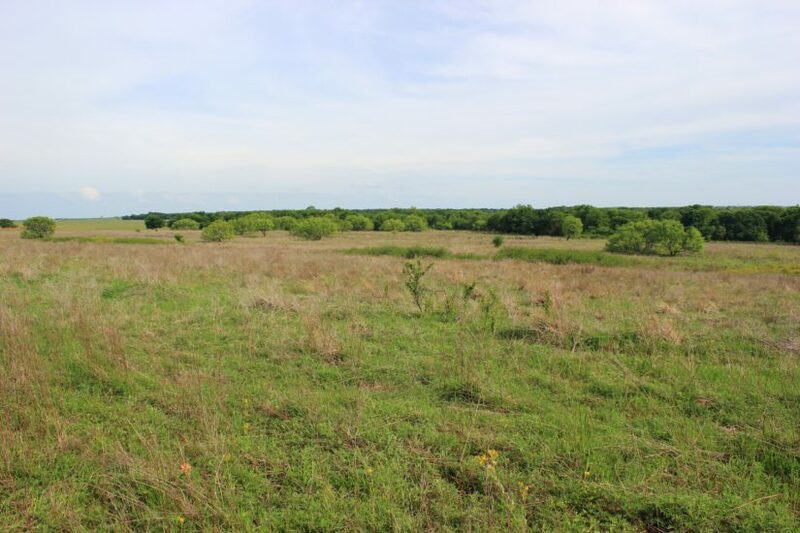 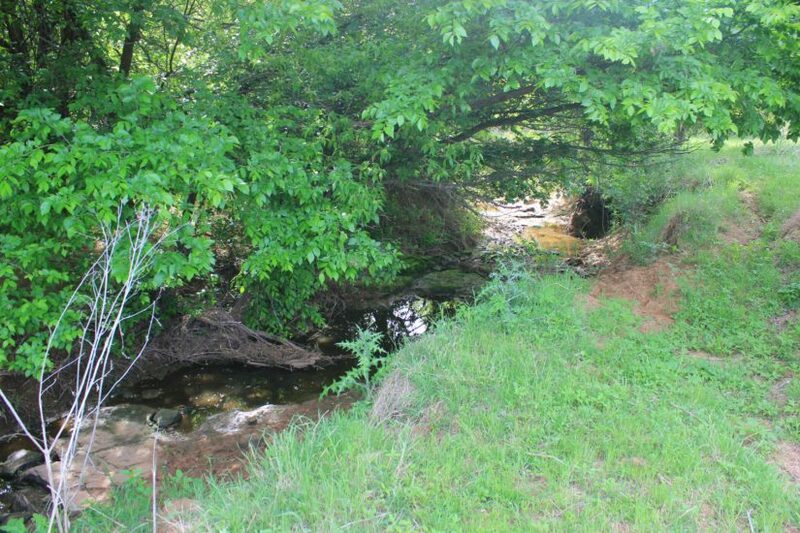 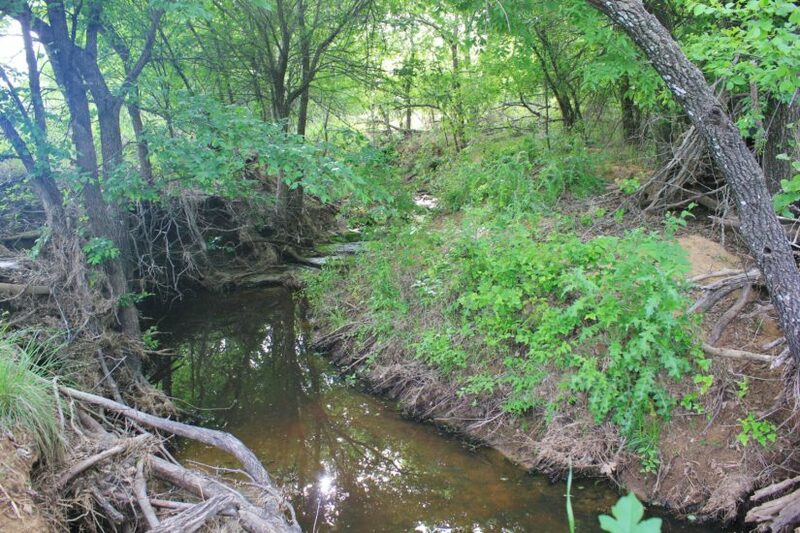 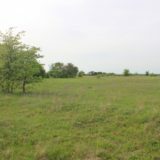 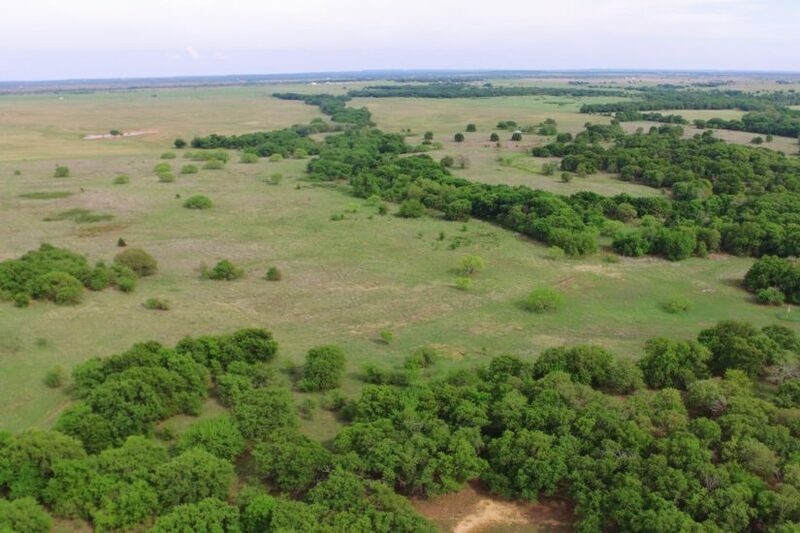 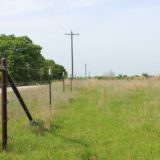 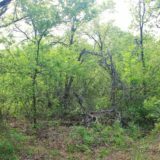 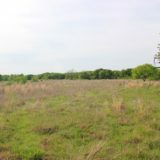 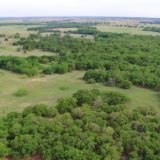 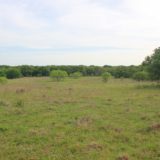 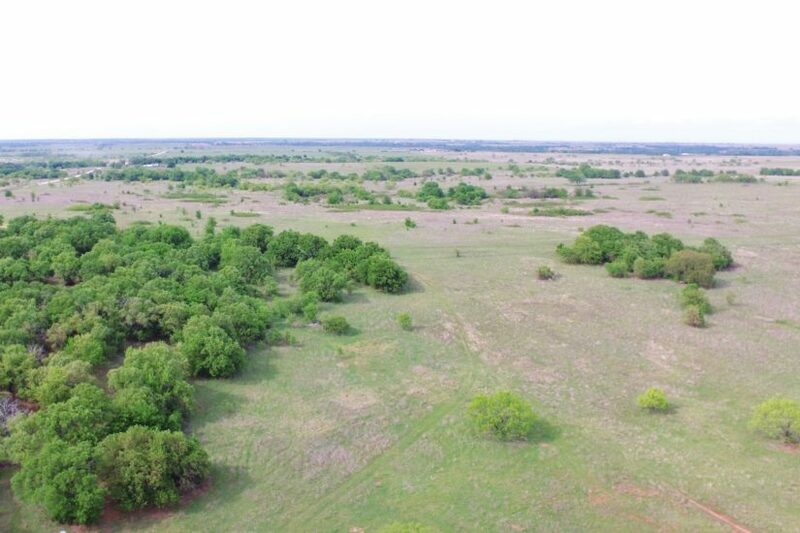 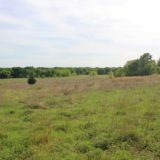 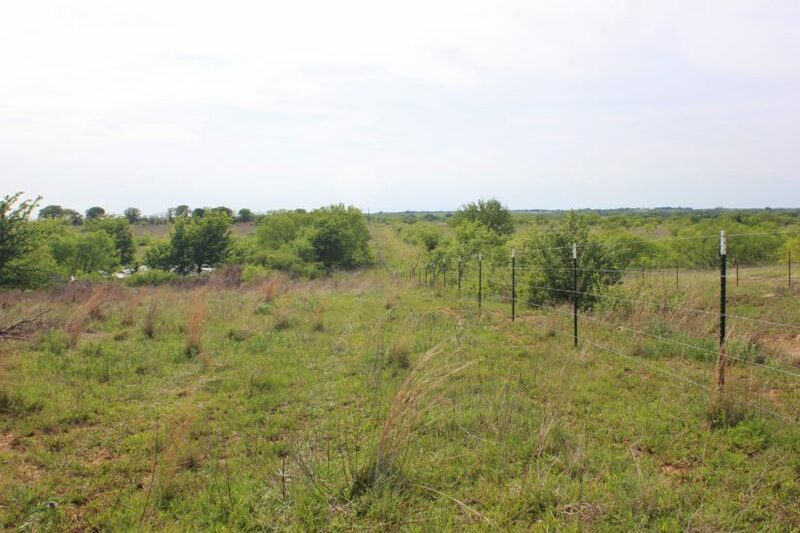 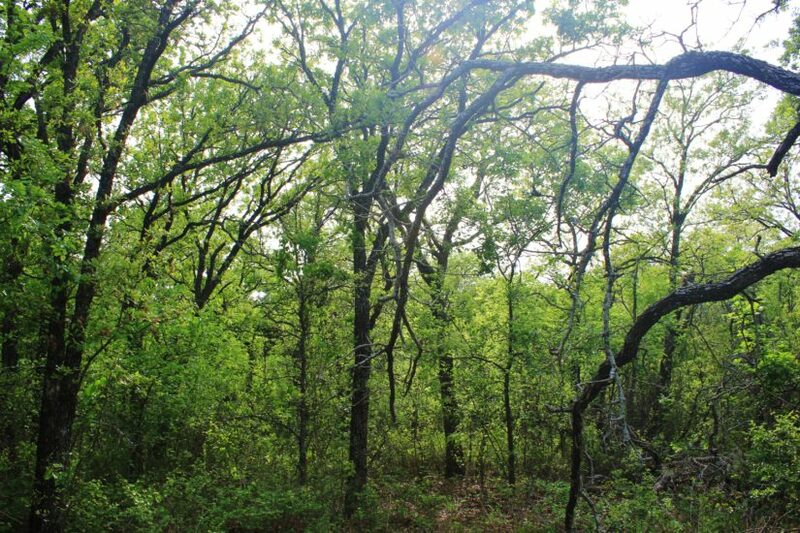 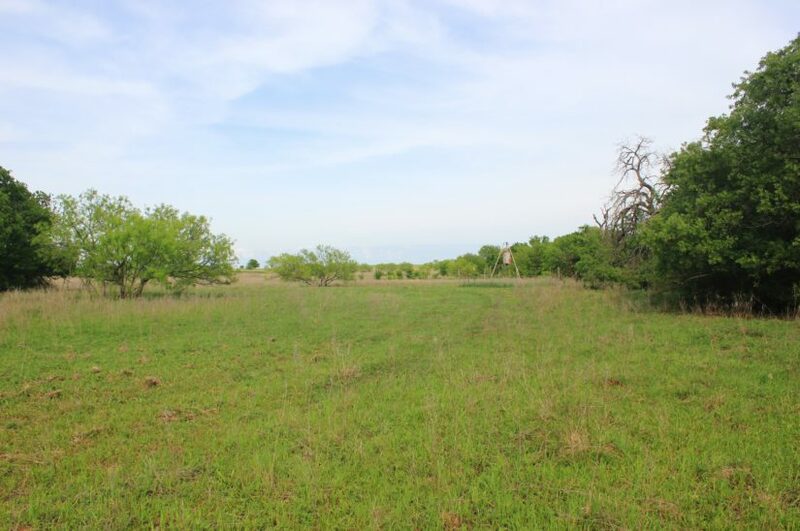 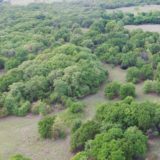 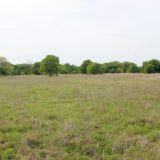 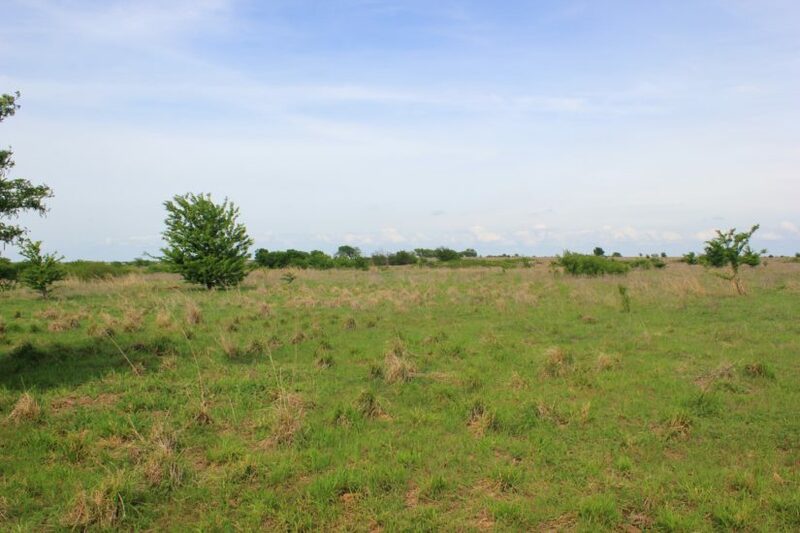 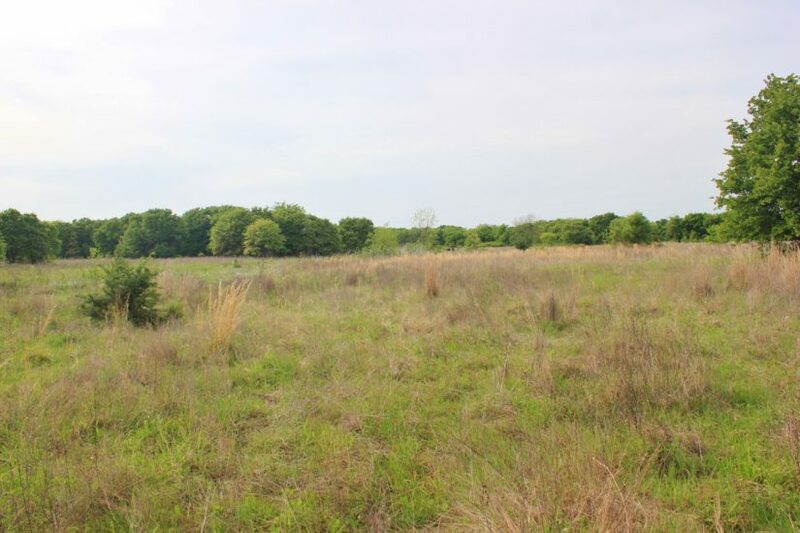 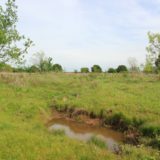 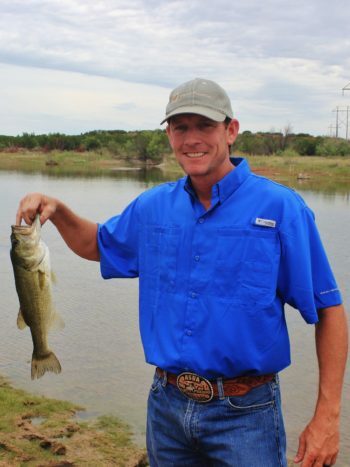 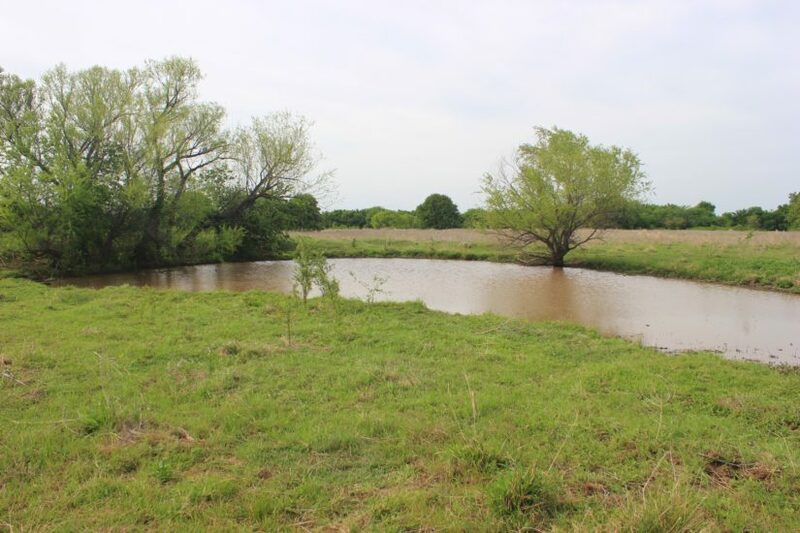 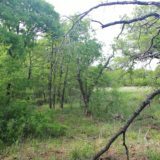 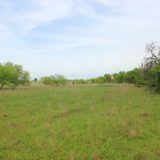 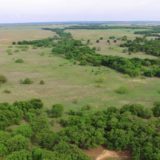 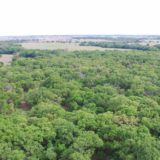 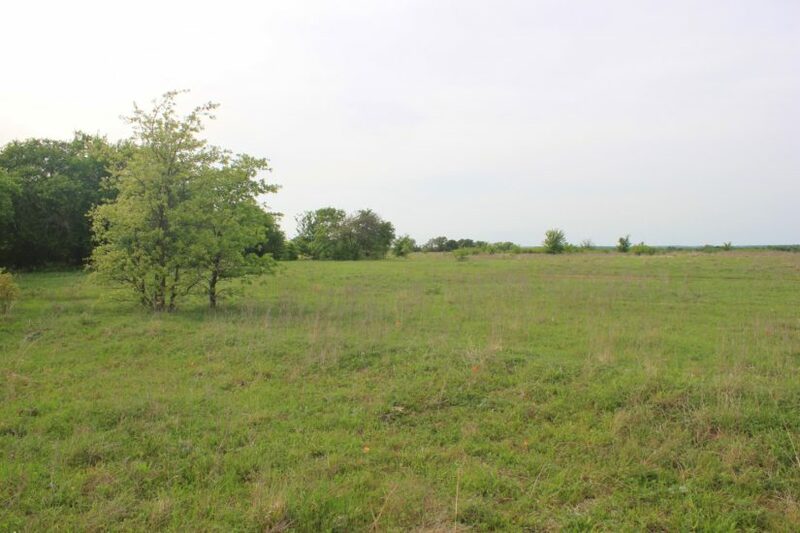 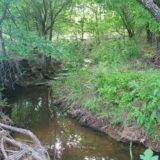 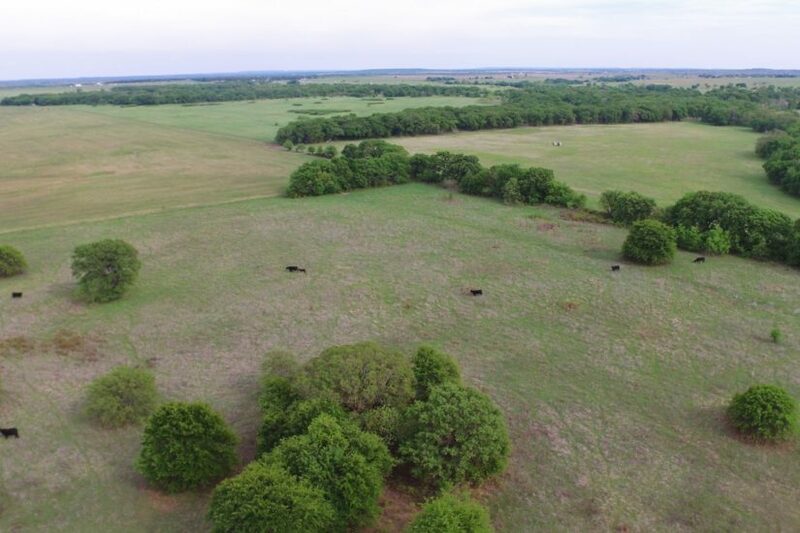 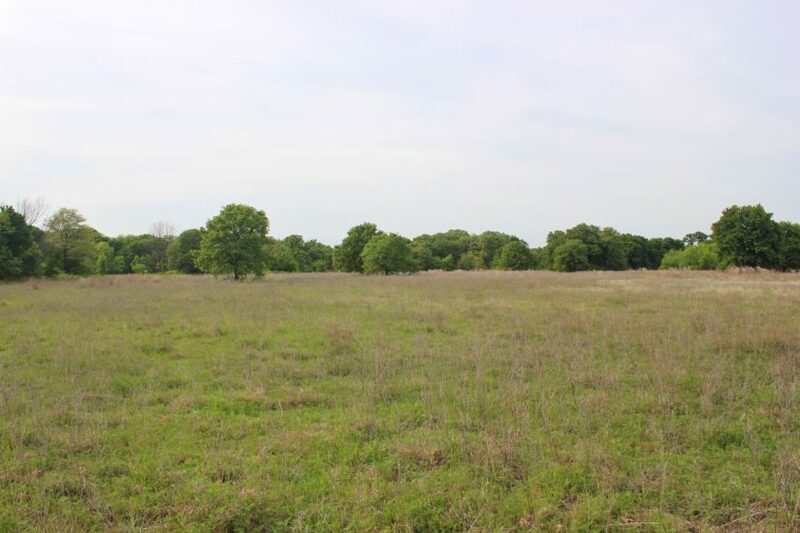 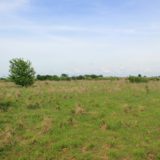 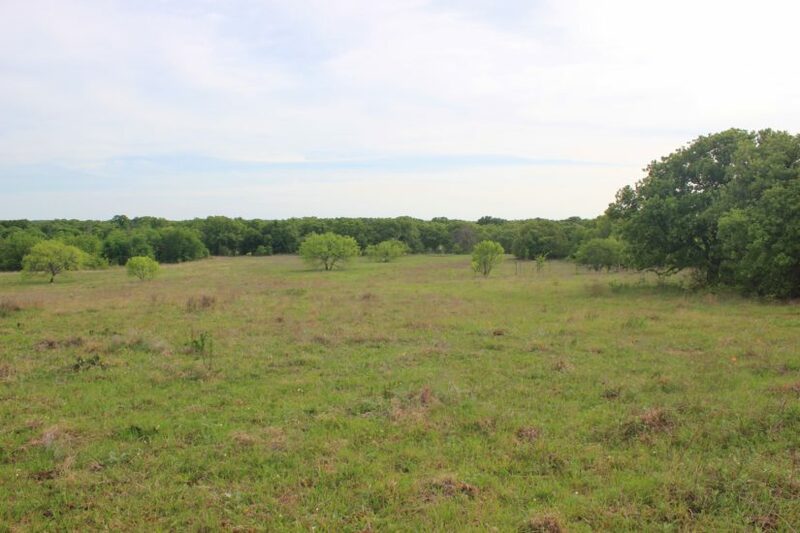 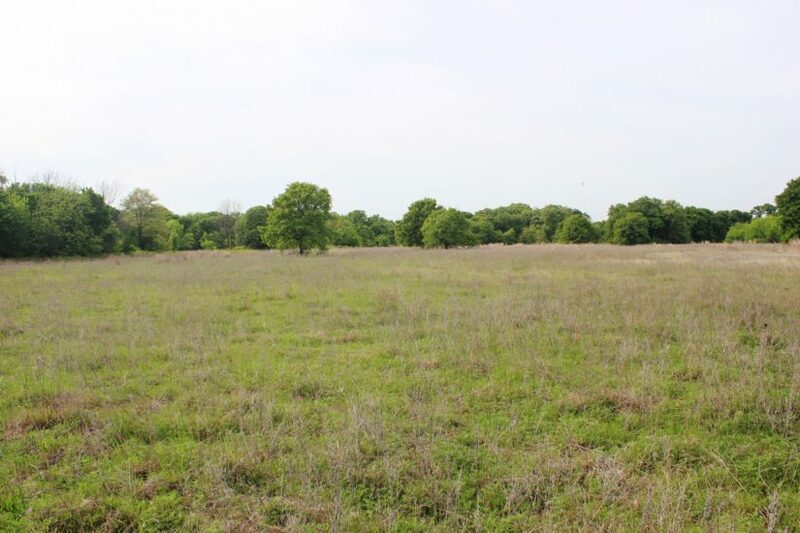 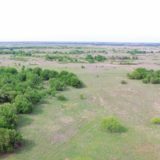 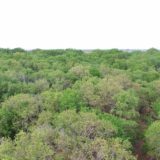 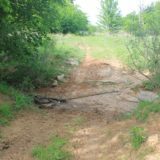 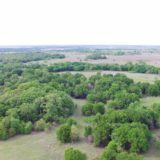 This 195 +/- acres is located just a few miles north of Nocona, TX (pop. 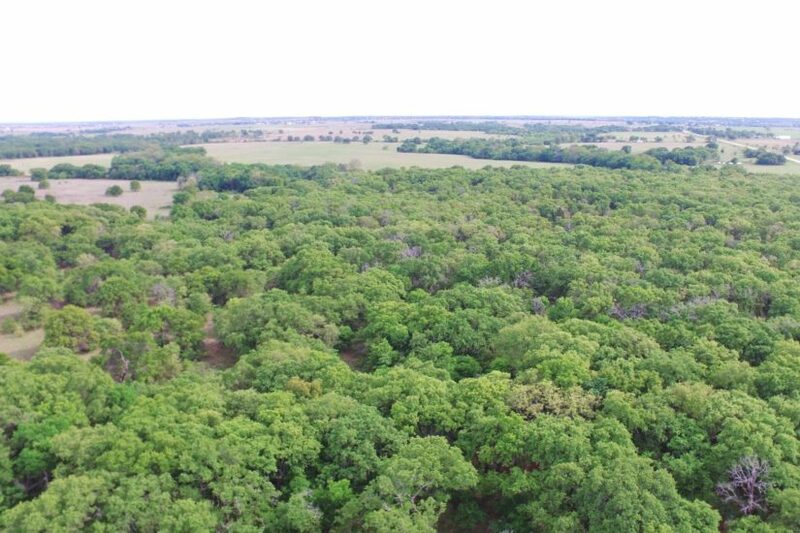 2,833), in Montague County. 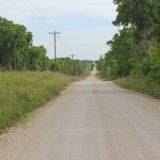 Only a couple of hours from the DFW metroplex, it is quick to get to any day of the week. 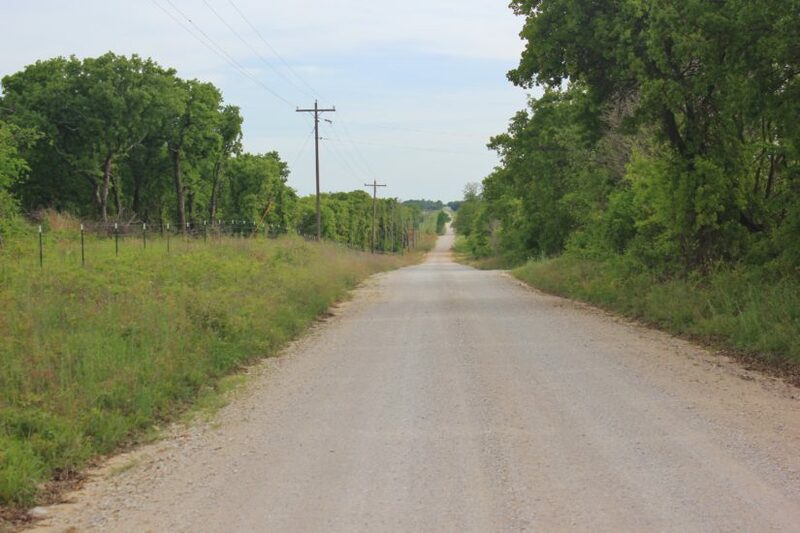 The ranch’s gated entrance lays along a county maintained gravel road, just 3/4 of a mile from asphalt. 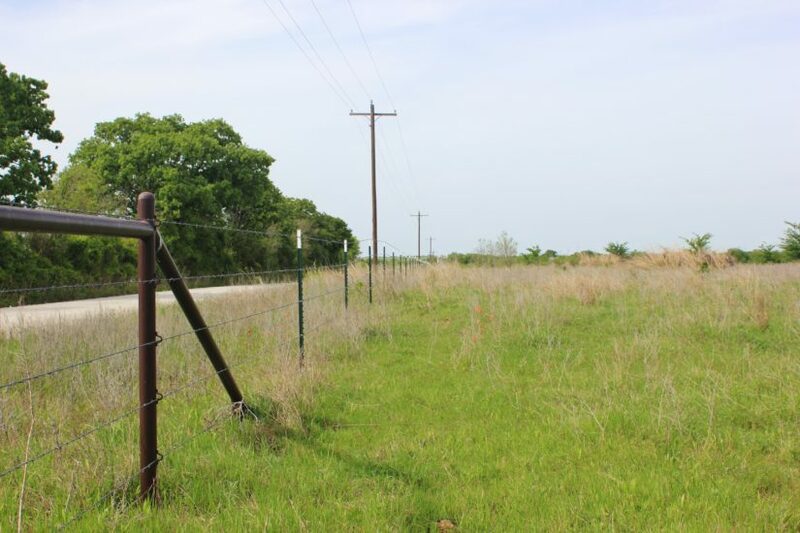 Electricity lines run the whole length of the property down the road, so it can be tapped onto just about anywhere. 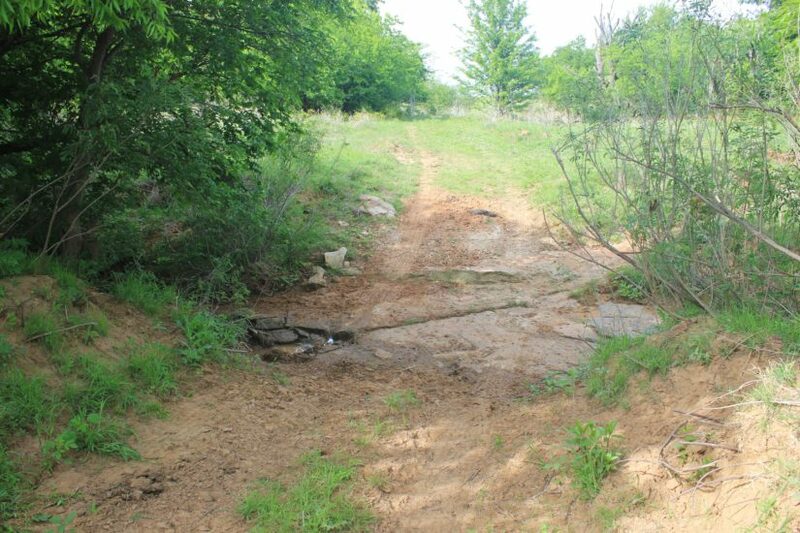 Ground water should be obtainable, if you wanted to drill a well (the neighbor to the east has a well on a solar pump). 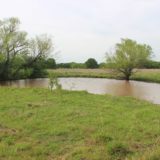 The whole ranch has approximately 50′ of elevation change across it, and the entrance is at the north end on high ground. 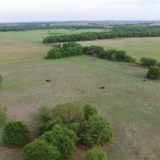 There are some really nice views to the south and east across surrounding pastures. 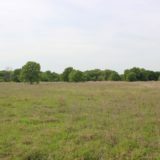 Approximately 75 acres on the north side was cleared at one time and is mostly in native grass. 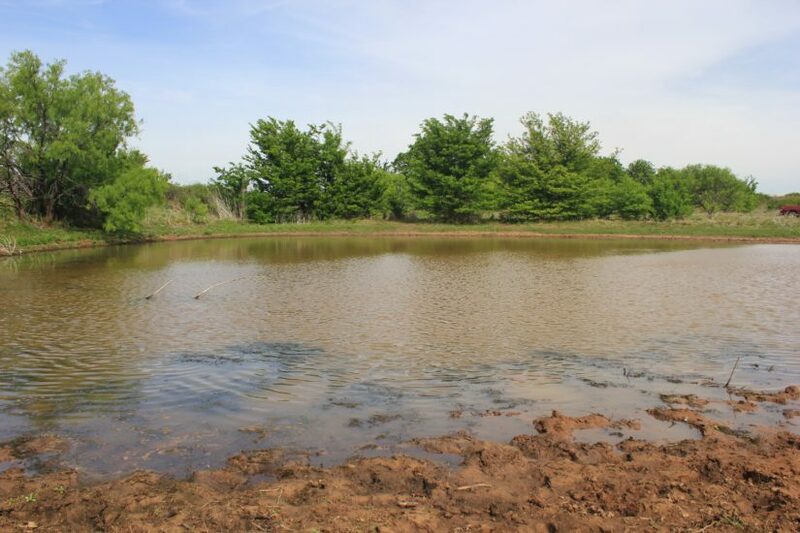 Young mesquites and scattered locust trees can be found across this area, and there is a large pond on the far north side where a draw is. 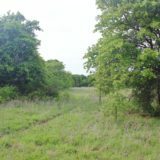 The remainder of the acreage is in heavy woods, with open meadows and smaller fields in between the creek ravines on the east side. 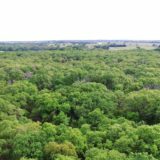 Some of these trees are so thick you can’t hardly walk through them! 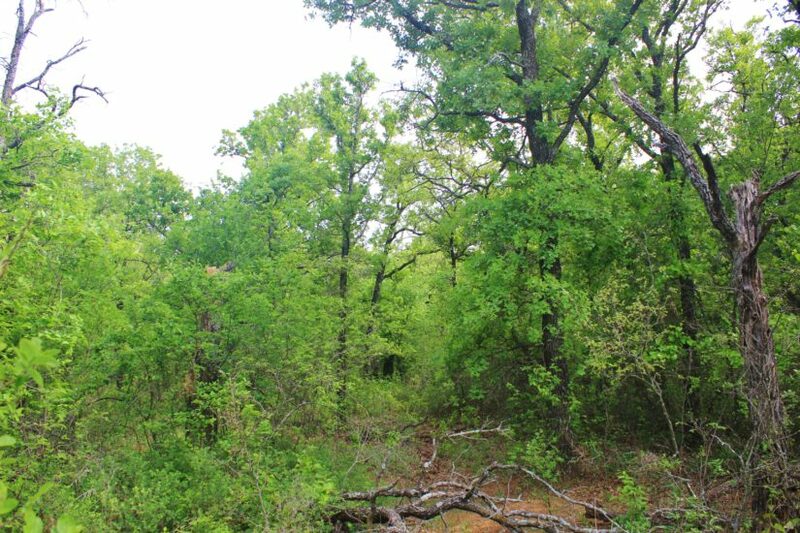 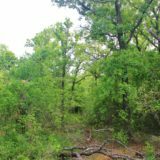 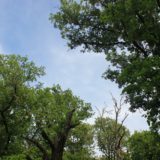 Lots of oaks, elm, and pecan make up this forested area. 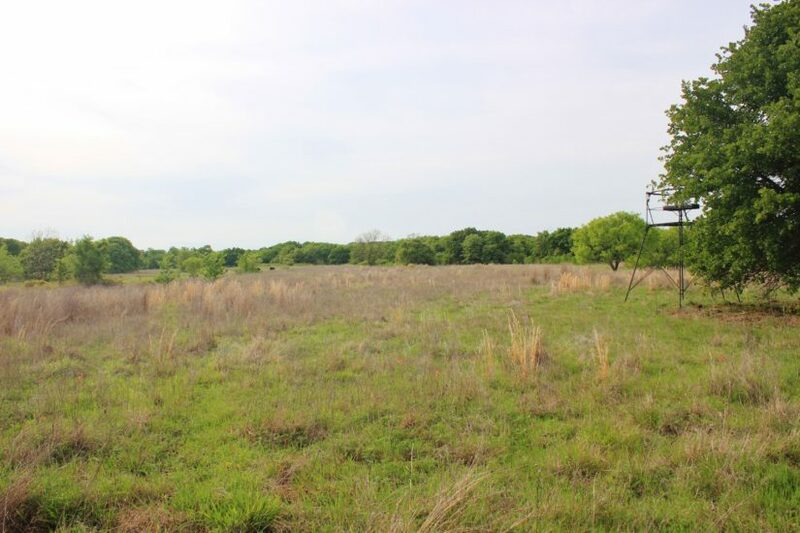 For hunting, it’s the ideal landscape. 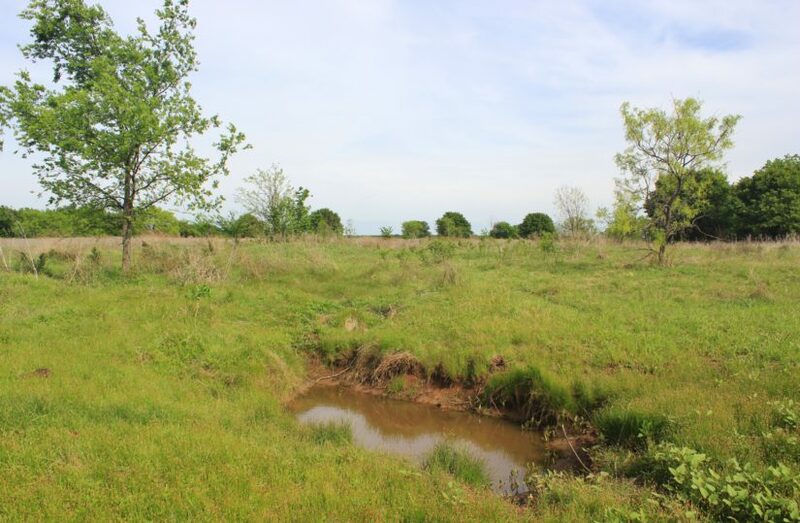 The areas that are thick provide safe bedding areas for deer, so you can hold game; the meadows allow for feeders and/or food plots, so you can draw them out. 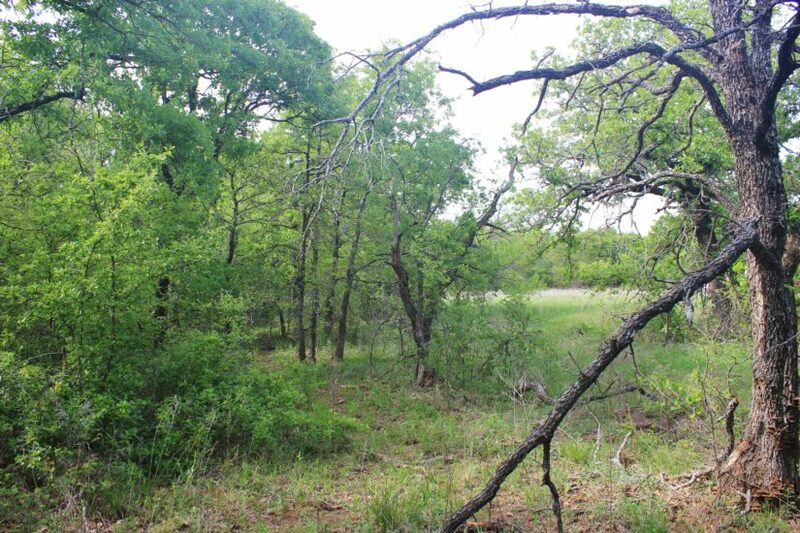 This ranch is conducive to either rifle or bow hunting because of its natural layout. 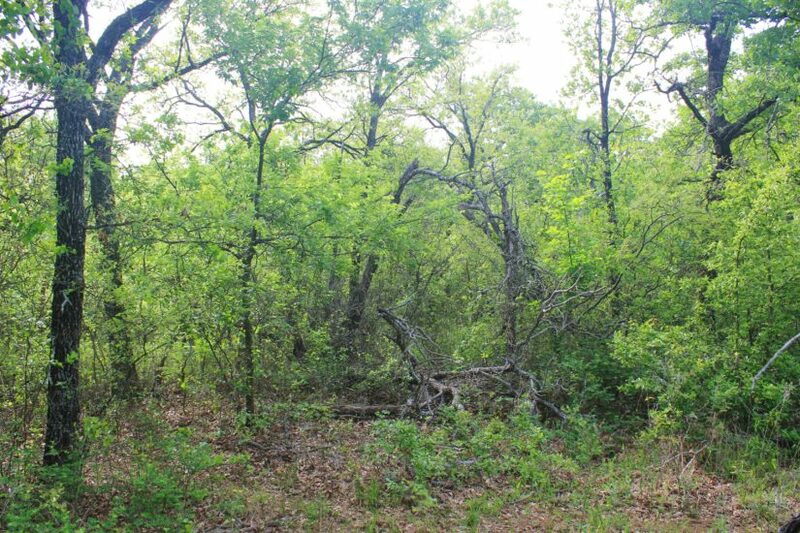 Whitetail deer, feral hog, and turkey will all be found on this place! 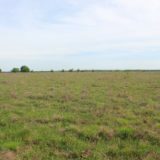 Very little hunting pressure too – there seems to only be a couple of blinds to the south, and little to no hunting to the east and north, which are cattle pastures. 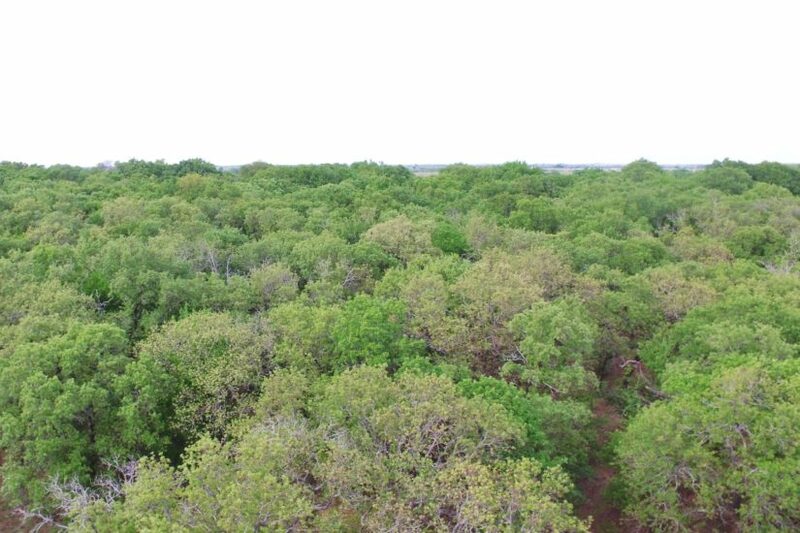 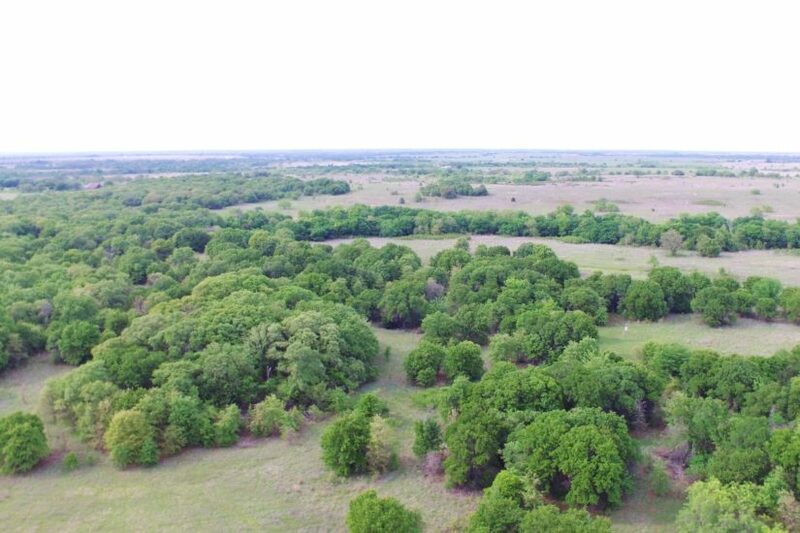 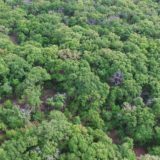 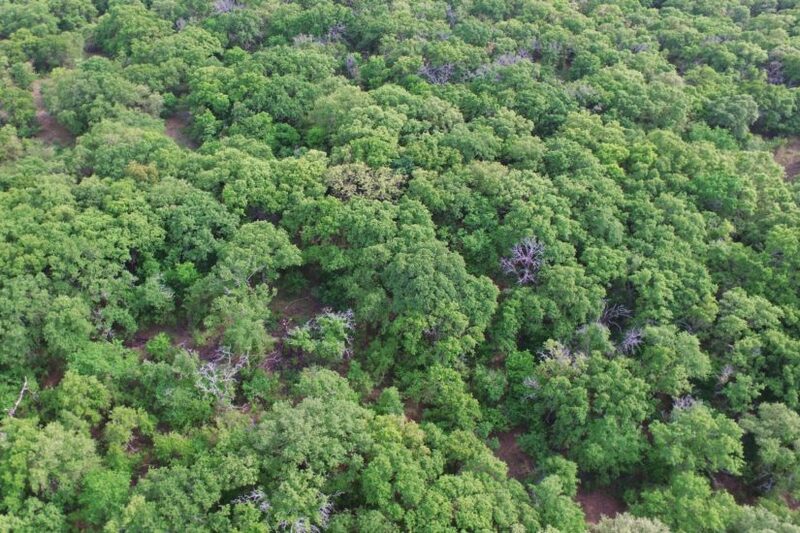 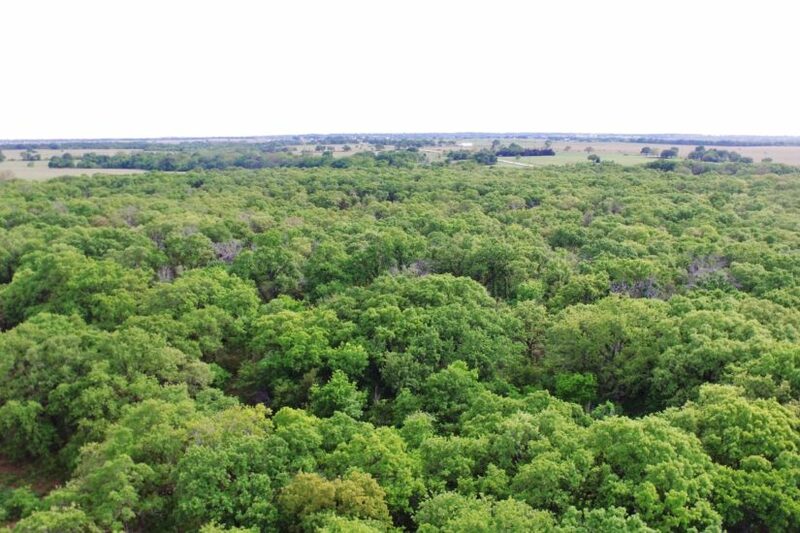 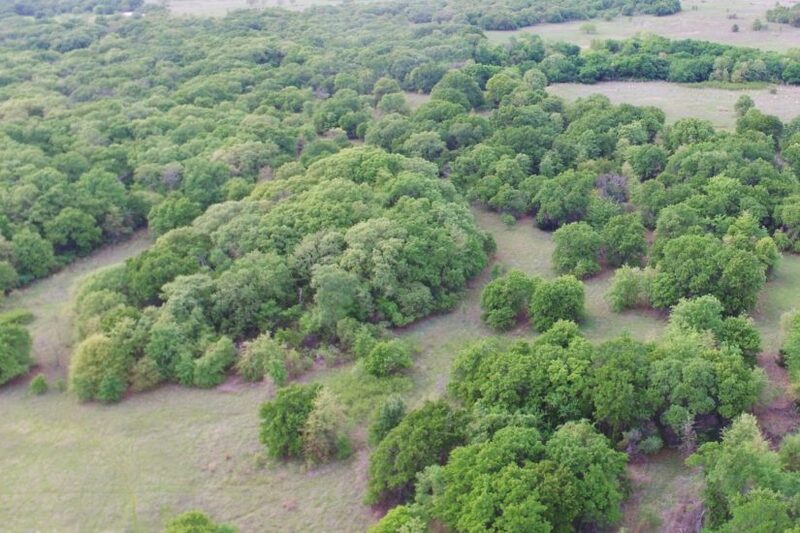 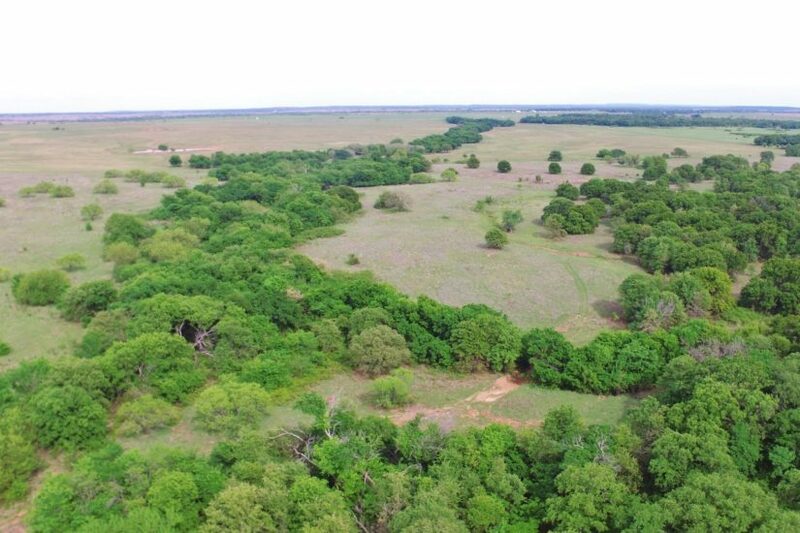 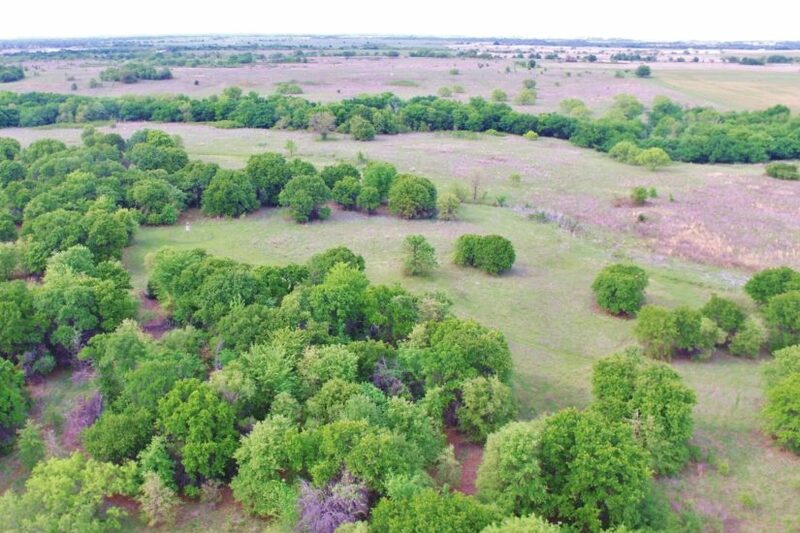 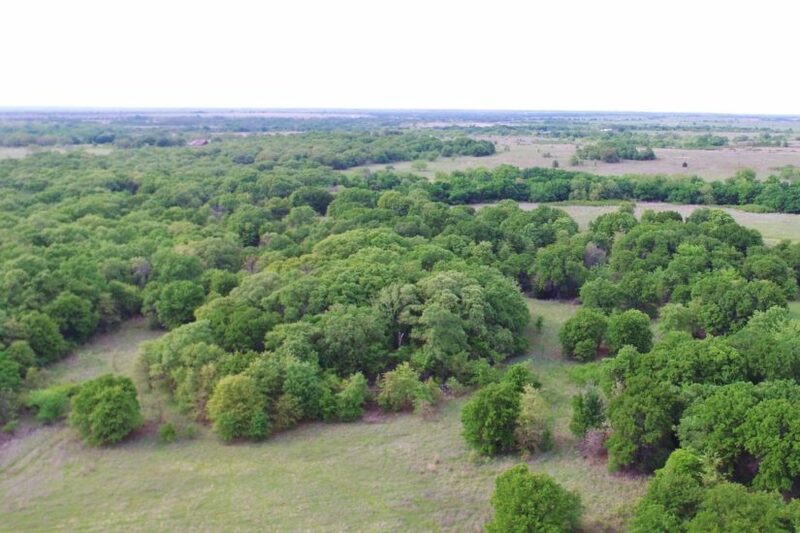 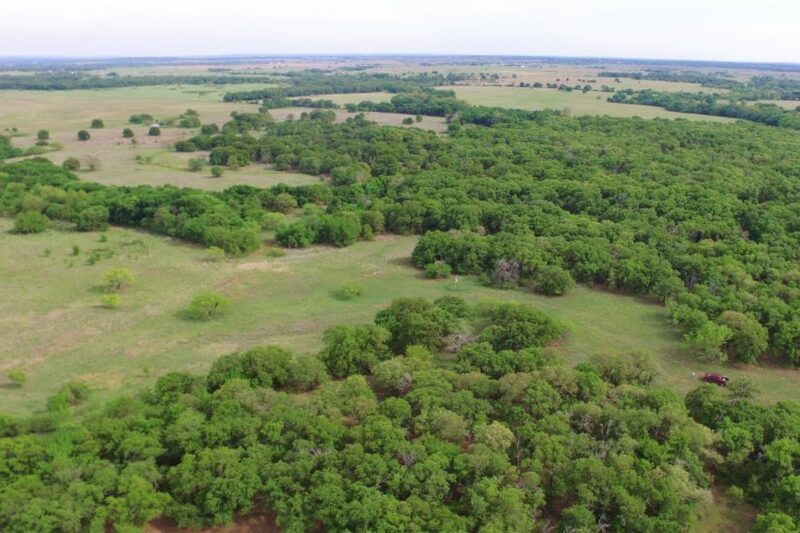 This property should allow you to grow and manage some pretty nice bucks, with all of its dense cover and diverse vegetation. 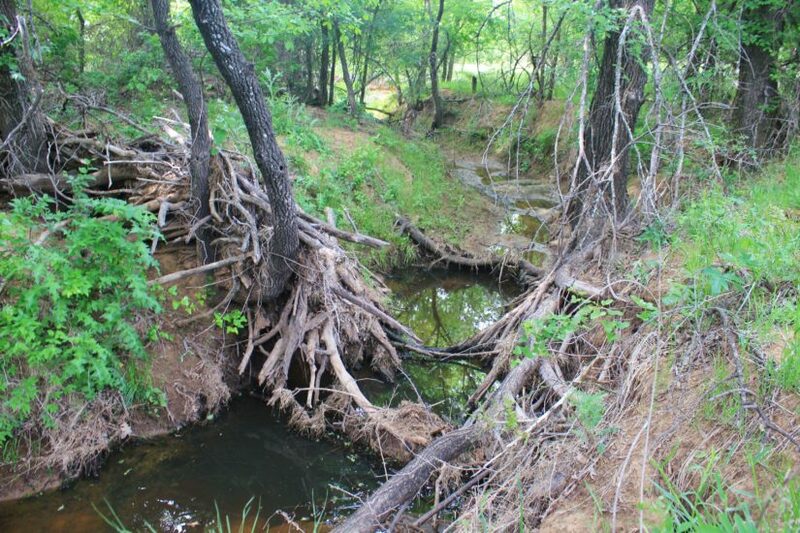 Multiple seasonal creeks run through the property too, which feed Pecan Creek less than half a mile away. 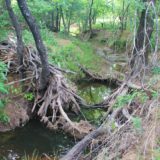 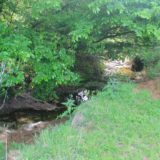 These creeks have rock bottoms and help hold water on the ranch for wildlife and cattle. 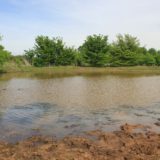 A second pond is on the south side too. 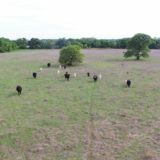 For cattle grazing, there is lots of grass and excellent fences. 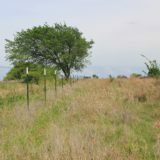 Both the west and north sides have brand new, five-line barbed wire fences. 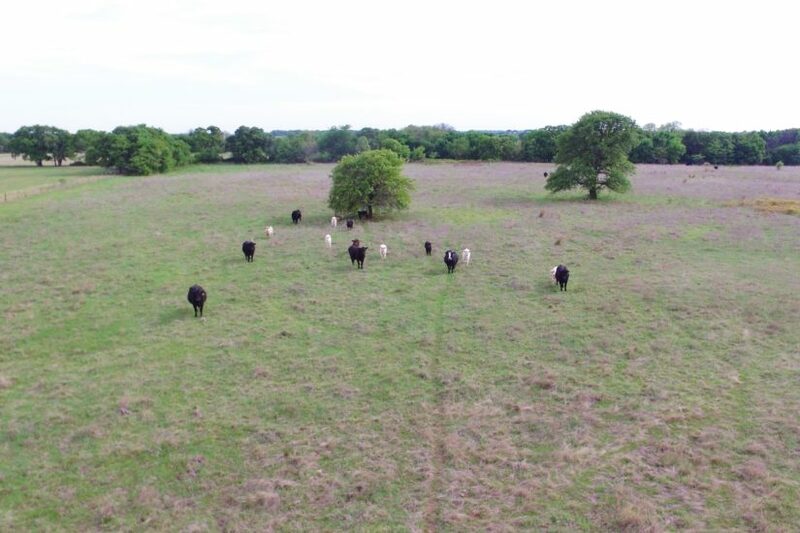 Approximately 70% of the ranch allows for cattle grazing, and there is a ranching tenant in place who will continue to lease it if you want to keep cattle. 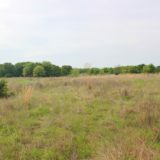 Doing so not only benefit the land by keeping it “mowed” down, but will keep the ag exemption in place for tax purposes. 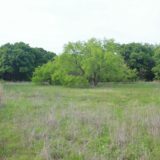 This is one of the nicer ranches under 200 acres I have seen in this area that is not improved with structures already. 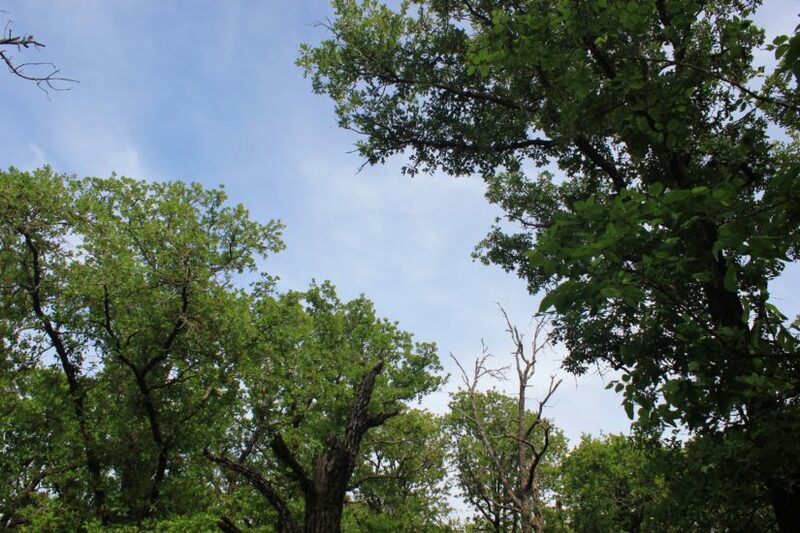 It is a blank canvas for you to develop the way you see fit. 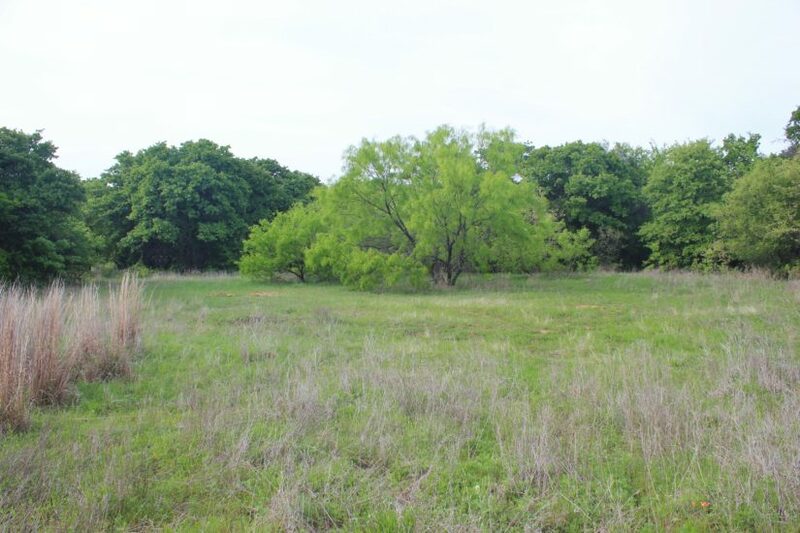 It would make a great place to build a home or cabin if you wanted one, and there’s a great building spot on a hill ridge some 850′ from the ranch entrance. 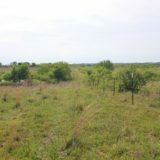 From this spot you can see the creeks and oak filled pasture on the ranch and look across miles of scenic countryside. 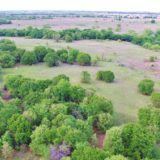 For more information about this unique ranch, contact agent Beau Byars at cell phone (940) 224-3183.